Jonathan Frakes, best-known as Commander William T. Riker on Star Trek: The Next Generation (as well as his more moralistically flexible transporter twin, Tom Riker), is returning to the Star Trek universe. Both of these guys were offered a chance to return to Star Trek, but only one agreed. Frakes has been tapped by CBS to direct at least one episode of the first season of Star Trek: Discovery. With the show well into production, Frakes has either already started work or his episode will be very late in the second half of the season (which won't air until after Christmas). 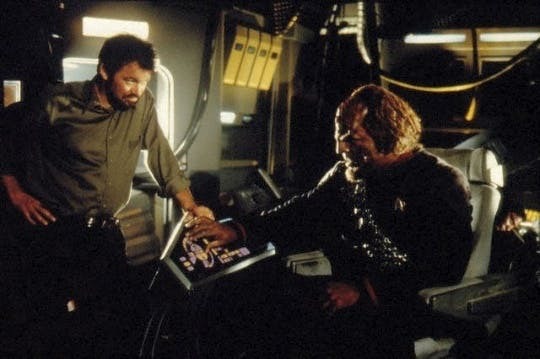 Frakes has directed fourteen episodes of the Star Trek franchise, along with two of the films (including the very well-received First Contact) and multiple episodes of other shows. His most recent credits include Falling Skies, Agents of SHIELD, Burn Notice and The Librarians. He is noted for his ability to find unusual angles to shoot familiar sets from and for a lean directing style, leading to his nickname "Two-Takes Frakes". Frakes isn't the only Next Generation castmember who was offered a chance to appear on the new show. Michael Dorn, who played Lt. Worf on both The Next Generation and Deep Space Nine, was offered a guest role playing Worf's grandfather. However, he turned them down after they offered "less than one percent" of the fee for his previous appearance in the franchise, in the 2002 movie Star Trek: Nemesis. The first half of the season will start airing on 24 September. CBS will be airing the first episode, with the second episode available immediately thereafter on CBS All Access; Netflix, which is airing the show internationally, will release both episodes together the following day. Netflix have confirmed that they will be resurrecting Sense8 for a two-hour finale to resolve the cliffhanger the show was left on when they cancelled it last month. According to Netflix, the outpouring of fan support for the show had impressed them and made them reconsider their plans to simply dump the show where it was. The final two hours will resolve the unresolved storylines, most notably the fate of main character Wolfgang, who'd been taken prisoner by the sinister corporation that was seeking to exploit the sensates. The rest of the gang teamed up - in the flesh, for the first time - in London to help rescue Wolfgang and managed to counter-kidnap their old nemesis Whispers. No word on a production or release schedule for the finale has yet been set. 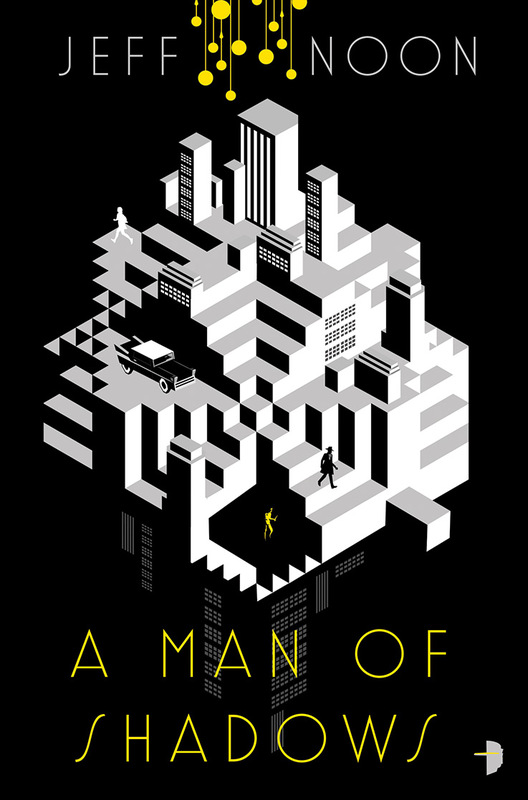 Angry Robot have revealed the striking cover art for the upcoming new novel by SF novelist and playwright Jeff Noon, A Man of Shadows. Noon is best-known for his debut novel, Vurt (1993), and its successors Pollen (1995) and Nymphomation (1997), as well as the stand-alone novels Automated Alice (1996), Needle in the Groove (1999), Falling Out of Cars (2002) and Channel Sk1n (2012). He's also published two collections, Pixel Juice (1998) and Cobralingus (2001), and a collaborative multi-author project called 217 Babel Street (2008). A Man of Shadows will be published on 1 August. Ahead of my upcoming Babylon 5 rewatch, it may be useful to set the scene of what is going on in the B5 universe when the series pilot episode opens. This information is not strictly necessary, but it may be helpful in reminding people in what space empire did what to whom and when. The first article focused on the major races and alliances. This second focuses on the B5 station and some of the underlying concepts of the show. When humanity was spared annihilation at the hands of the Minbari, it resulted in a more tolerant and less aggressively militaristic attitude taking root on Earth. Newly-elected President Luis Santiago was voted into office in 2248 on a mandate of keeping the Earth Alliance out of war and also encouraging peaceful relations with other races. One idea that had been proposed was a version of the League of Non-aligned Worlds writ large, the creation of an interstellar forum for peace and diplomacy that could also act as a centre for trade. Just as trade had helped keep Earth out of a global war for over 140 years during the 20th and 21st centuries, it was hoped it would also create new links between the major and minor powers of local space. The original Babylon Station shortly before its destruction in 2250. The result of these discussions was the Babylon Project. Its goal was to build a large space station, much larger than anything Earth had attempted before, which would act as a centre for trade and diplomacy. 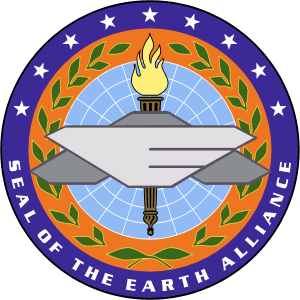 It was modelled on the League of Nations and United Nations of old Earth, before the major powers consolidated into the Earth Alliance in 2085. It is likely this plan would have foundered if it wasn’t for the goodwill that Earth had engendered among the League of Non-aligned Worlds for its intervention in the Dilgar War of 2230-32, as well as the sympathy it had built up during its war with the Minbari. Startlingly, the Minbari themselves agreed to send a representative to the station, which added considerable kudos and interest to the project. Earth Alliance diplomatic station Babylon 4. Considerably larger than the later Babylon 5, it remains the largest space habitat ever built by humanity. Taking over three years to build, in Sector 14, Epsilon Eridani system, it disappeared without a trace in late 2254 with over 1,300 construction workers and Earthforce personnel on board. It was decided to build the station in the Epsilon Eridani system. Located fourteen light-years from Earth* in neutral space, the system was close enough to permit relatively fast travel from Earth, Narn and several of the non-aligned homeworlds (and somewhat more distant from Centauri Prime and Minbar, although still only a few days’ trip). A vast construction site was set up just outside the orbit of Epsilon Eridani III, three hours from the local jump gate, and construction got underway in earnest in 2050. 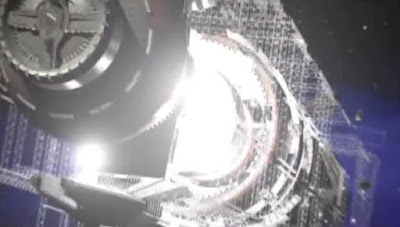 Just a few months into construction, with the forward docking sphere completed and the main hull taking shape, the station’s superstructure collapsed and exploded. Most of the construction material was saved and rebuilding began immediately. The same thing happened again, and then again. Officially the failures were the result of substandard building materials and problems with the advanced technologies being used to build the station, the largest artificial construction ever attempted by humanity. Unofficially, at least two of the collapses were linked with extremist, anti-alien terrorism. 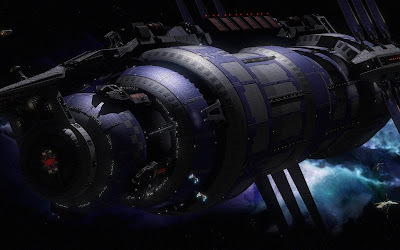 Protected by much stronger security measures, Babylon 4 was finally completed in 2254. The immense station was operational for just 24 hours when it abruptly vanished, disappearing in a flash of light with over 1,300 construction crew still on board. No explanation has ever been provided for this incident. The Earth Alliance prepared to cancel the Babylon Project, judging it an enormous waste of time, resources and political capital. 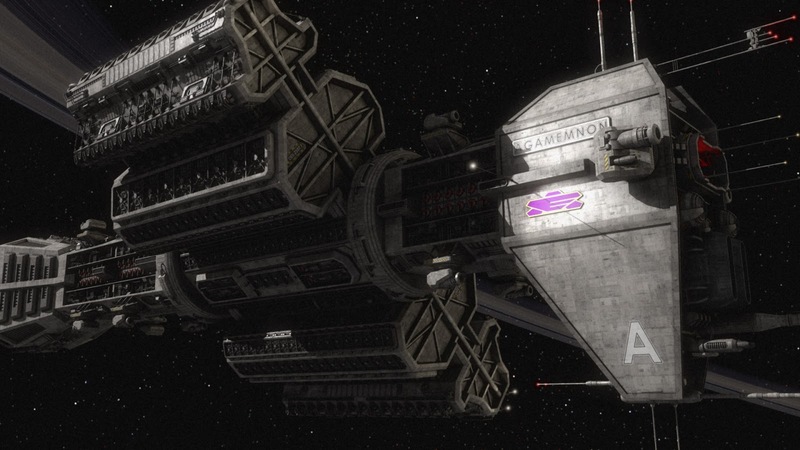 To their surprise, the Minbari Federation stepped in and offered a substantial amount of funds to help build a fifth station. The Centauri also donated a significant sum and the Narns and non-aligned worlds somewhat less. The fifth station would be significantly smaller and less grand in scale, but it would still serve the purpose originally intended for the project. It was also decided to move the construction site into orbit around Epsilon III, much closer to the system’s jump gate with significant cost savings (despite concerns over security, being much closer to an attack through the gate). Babylon 5 was completed in the summer of 2256. It went online in the autumn, with the station’s command crew and ambassadorial staff arriving shortly after that. Against the odds, the Babylon Project had succeeded in getting on-line. Now it would be the job of the crew and diplomatic staff to make the actual diplomacy work. Babylon 5 is located in orbit** around the planet Epsilon Eridani III (commonly referred to just as Epsilon III), close enough so that several times a day it enters Epsilon III’s shadow. A hyperspace jump gate has also been constructed in orbit, allowing smaller, non-jump-capable vessels to travel to the station. The gate is located far enough away from B5 for hostile ships to be identified and intercepted, but close enough so that travel from the gate to the station is fast and smooth. Thrusters on the jump gate allow it to maintain a constant distance from B5. The station is approximately five miles long*** and at least half a mile wide. The station resembles a long rotating cylinder, held in place by a non-rotating framework. The spinning cylinder, or carousel, contains all of the station’s living spaces, including quarters, diplomatic meeting places, commercial districts and recreation areas. It rotates at 60mph, which generates a simulated gravity field of 0.9G. 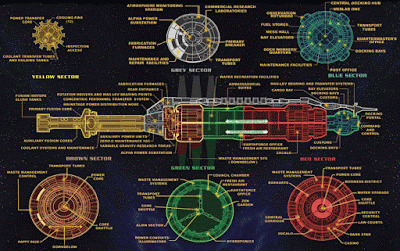 A “bulge” in the hull in Green Sector represents an elevated section of the station which can actually be spun at different speeds, to allow areas in the station for species from higher or lower-gravity worlds to dwell in greater comfort. However, no such species has yet arrived on the station in sufficient numbers to justify such a change to the station’s configuration. At the front end of the station is a large spherical structure. This is the docking sphere or Blue Sector, which contains the station’s docking bays, Command and Control (C&C) and Earthforce military facilities, as well as crew quarters. The station’s Cobra bays, from where the fighter wings launch, are located at the rear of this section, on the arms which connect the sphere to the rest of the carousel. Ships dock through the axial launch and recovery bay, from where they are carried to one of several dozen bays located around the sphere. There is a secondary bay located directly above the sphere, along the zero-gravity forward “arms” of the station, where larger ships can dock. The carousel is divided into four distinct sectors. Red Sector, located behind the docking sphere, is the station’s primary residential, commercial and entertainment hub. It contains restaurants, hotels, casinos, conference facilities and the station’s main shopping market, known as the Zocalo. The rearward part of Red Sector opens out onto The Garden, a large section of the carousel’s interior which is effectively hollow. The part of the Garden in Red Sector contains sports facilities and some very expensive hotels. Green Sector, located rearward from Red Sector, contains the station’s diplomatic and ambassadorial wings, as well as residences for many of the station’s non-human population and the so-called “Alien Sector”, which contains rooms where the atmosphere can be changed for the comfort of the residents. The Garden extends through Green Sector and several public parks are located in this area, such as the Zen Garden and areas designated for diplomatic functions. Brown Sector, colloquially known as “Downbelow”, is located rearwards from Green Sector, behind the Garden. Originally planned to be a second commercial area, it suffered from the budget cuts in the planning of the station and was left only partially developed, with considerably less security infrastructure than much of the rest of the station. Almost inevitably, this part of the station has attracted an underclass of citizens, including even homeless people. Brown Sector tends to be at the centre of some of the less-savoury activities on the station, including crime, prostitution and the drug trade. Grey Sector lies rearwards from Brown Sector, at the far rear end of the carousel. Grey Sector contains a lot of industrial areas, heavy machinery and fabrication plants. This sector of the station is heavily automated, with relatively few people working in it despite its significant size. The low population of this sector, combined with its strange noises, have led it to being dubbed the “Babylon Triangle” by some of the more superstitious station residents. Yellow Sector is the term given to the station’s non-rotating, zero-G facilities. These include the station’s fusion reactor (located at the extreme rear of the station), atmosphere processors, the large radiator fins, the cargo pods, the zero-G docking bay and the forward cargo stabilisers. Due to the sensitive nature of its facilities, Yellow Sector is off-limits to all non-Earthforce personnel. The station’s sheer size can be overwhelming, but relatively rapid travel can be achieved thanks to transport tubes, which provide rapid transit between floors, and the station’s Core Shuttle, a high-speed monorail which runs the length of the station from Blue to Grey Sector just underneath the main axis. As it’s located near the spin axis, the Core Shuttle is a low-gravity environment and travellers must take care when boarding and exiting the cars. Although designed primarily for peaceful purposes, Babylon 5 is also armed for defence. The station has two fighter wings of 12 fighters apiece, designated Alpha and Delta Squadrons, along with a number of spare fighters to replace any lost in combat. These are launched from the Cobra Bays located along the arms connected the docking sphere to the carousel, and recovered via the main docking bay. The station also employs a number of shuttles (including atmospheric shuttles and zero-G ones), hazardous material-recovery ships and automated camera and cargo pods. The station also has several dozen pulse array cannons located along its length. Most of these are located along the zero-G spine of Babylon 5, but some are mounted on the rotating section to provide coverage along the underside of the station. These cannons are designed primarily for anti-fighter operations but in concert could inflict significant damage on capital ships. Earthforce and the diplomatic corps have clashed over plans to fit more significant weaponry to the station, the former feeling that B5 is far too vulnerable to a concerted assault and the latter countering that adding such heavy weapon batteries to the station runs counter to its mission of peace. Babylon 5 is run by a crew of 6,500 Earthforce personnel, who provide the station’s administration, security and defence forces. In addition to this, there are 1,500 dockworkers on the station and thousands more permanent civilian residents who work on the station and keep its businesses and other amenities running. There are also well over 100 ambassadorial staff on the station, with each ambassador usually attended by a senior aide/chief of staff and other assistants. The construction of the Babylon 5 jump gate has also provided a handy junction point for hyperspace routes leading between the Earth Alliance, Narn Regime and several of the non-aligned worlds. This has made the station a hub for both travel and commerce. The station has a total population – residents and transients combined – of around 250,000 at any one time. Hyperspace as it appears from the "inside".This image is taken from the Conflict of Loyalty 2 mod for Nexus: The Jupiter Incident, since the series shots of hyperspace are not great in quality. In the 20th Century it was said that travelling faster-than-light is impossible. Technically, that is correct. It is not possible for any spacecraft to exceed the speed of light, which is why the first few interstellar ships launched from Earth travelled at achingly low speeds, taking decades to cross a single light-year, the crew cryogenically frozen until they reached their destination. However, it is possible to get around the limitation. There are multiple layers of reality nestled within one another. Many millennia ago, ancient civilisations discovered how to create wormholes – jump points or vortexes – linking our universe to the one next door, known as “hyperspace”. Every point in hyperspace corresponds to a point in normal space, but hyperspace appears to be many orders of magnitude smaller. Enter hyperspace, travel for a few hundred thousand miles and pop back out in normal space several light-years from where you were. This sounds much simpler than it is in practice. Hyperspace does not have any stars, planets, black holes or other phenomena like our realm, but it does have immense gravitation eddies which ebb and flow. Some areas of hyperspace are utterly impassable due to such phenomena, creating obstacles which ships have to take long detours around. These tides can also sweep unsuspecting ships off course without warning, leaving them stranded with no frame of reference on how to get back home. 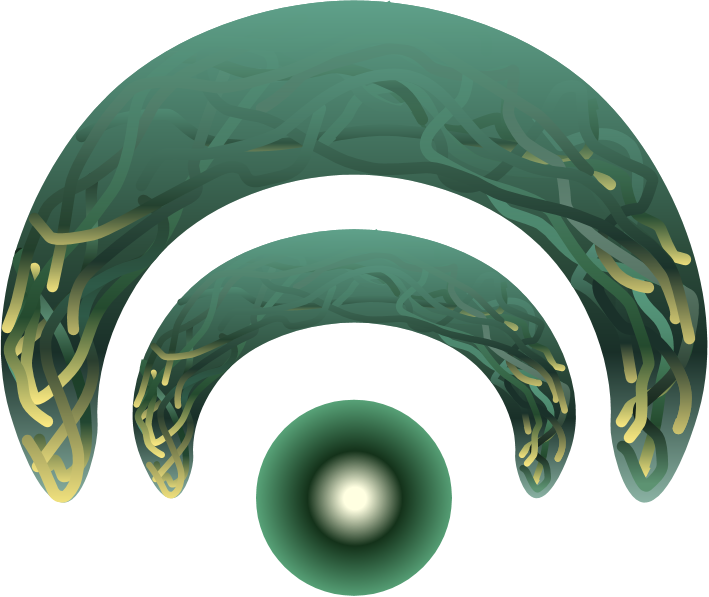 To this end, the first ancient civilisations which explored hyperspace began building a network of beacons. These beacons are anchored in real space, but with signals that penetrate hyperspace (and thus remain fixed and immobile from the perspective of ships in hyperspace). 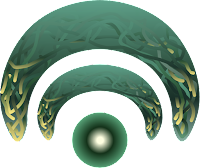 Over the course of millennia, other species have joined the interstellar community and added to the beacon network. Today tens of thousands of beacons link the disparate worlds of known space together. Even hostile species have hesitated over destroying the beacons, since without them entire sections of the galaxy could be cut off before the painstaking work of rebuilding them was attempted. Network beacons can be shut down, however: during the Earth-Minbari War, the hyperspace beacons for the Sol system was disabled once the Minbari overran the outer colonies, delaying the Minbari advance for many months until they located Earth by other means. 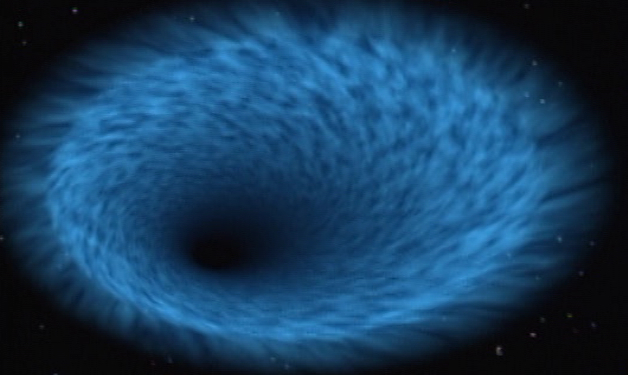 An exit vortex or jump point leading from normal space to hyperspace. Passing from real space to hyperspace or back again requires vast quantities of energy, far beyond the capability of most small ships to generate. Smaller ships require the use of free-standing jump gates to pass from hyperspace to real space and back again. Jump gates take the form of massive, multi-pronged constructions which charge up and generate a jump point between their prongs. More advanced species, like the Minbari and Centauri, have gates with three prongs, whilst Earth and many of the non-aligned worlds use four-pronged gates. The gate prongs can usually be adjusted to allow extremely large ships to enter or leave hyperspace, but a galactic standard size exists which makes this almost never necessary. Jump gates require colossal amounts of energy to operate, with multiple fusion reactors built into them along with failsafes and redundancies. The destruction of a jump gate – aside from being a crime on a par with disrupting the beacon network – releases titanic amounts of energy in both hyperspace and real space. It is strategically unsound because it is impossible for any ship to get out of range of the explosion (since it propagates in both realms simultaneously) once the detonation has begun. Trying to open one jump point inside another has the same effect. Many species have large vessels which spend months exploring the fringes of the network, building new jump gates and beacons and expanding the limits of known space. The Earth Alliance delegates this task to its largest vessels, the Explorer­ class. More than two miles long each (although most of that space is given over to cargo), each Explorer has enough resources to build multiple gates and beacons before returning to the core systems for resupply. Earth only has a few of these ships and the programme is expensive, but it maintains it because of the goodwill it engenders with smaller races and the positive impact it has on trade. Larger ships can generate their own vortexes through the use of a jump drive. Jump drives are extremely expensive to construct and fit to a ship, and the energy requirements are quite startling. The Centauri have developed quite impressive jump drive technology, later sold to Earth and stolen by the Narns. Minbari jump technology is superior still, with the Minbari both able to fit jump drives on ships smaller than even the Centauri have managed and also able to precisely target the departure jump point in real space from beacon coordinates. During the Earth-Minbari War the Minbari would open jump points in the midst of Earthforce flotillas, destroying several ships before the Minbari ships even arrived. A four-pronged jump gate (probably of Earth construction) and an entry vortex leading into hyperspace. Due to the gravitational inclines and eddies in hyperspace, not to mention the disorienting visual distortions (the source of which remains unknown; according to instrumentation, hyperspace should be completely black) which make following a target almost impossible, space combat is rarely attempted in hyperspace. The superstitious sometimes claim that there are alien creatures native to hyperspace which do not take kindly to intrusions from our realm. However, there are several species which have had hyperspace technology for over a thousand years and these have never turned up a single shred of evidence to support such claims, and they must be dismissed as fanciful. * More recent, more accurate measurements suggest that Epsilon Eridani is actually 10.5 light-years from Earth and have confirmed that it possesses two significant asteroid belts, one gas giant and one smaller planet (not directly observed but inferred from the stable orbits of the two belts). ** Publicity material for Babylon 5 and occasional official comments suggest that B5 was actually not in orbit around Epsilon III but located at the planet’s Lagrange 5 point with respect to its moon (presumably not Epsilon Eridani itself, as that would be located around 5 million kilometres from Epsilon III and the planet would be barely visible). This is not borne out by the show itself, where B5 is said to be in direct orbit around Epsilon III several times. 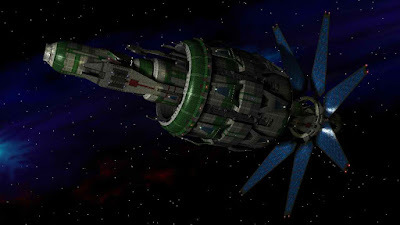 *** The Babylon 5 station was originally designed to be one mile wide and eleven miles long: only the centrifuge (the main rotating cylinder, containing the Garden and Green and Red sectors) was going to be 5 miles long, with the forward command sphere and the rear power section and the front cargo arms adding the remaining length. However, in-episode dialogue constantly refers to the whole station being five miles long. This creates inconsistencies since the CGI in the Garden sequences (particularly the end of the episode The Fall of Night, the Season 2 finale) clearly shows a much wider station than the 0.45 miles it would have been to keep the scaling correct. 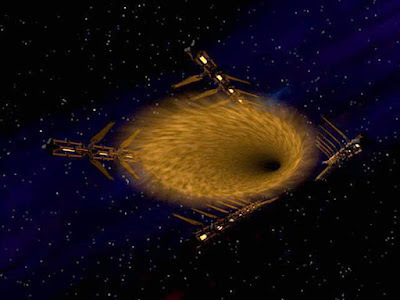 **** This is a retcon needed to explain how Z’ha’dum can lie on the “Galactic Rim”, which is at least 20,000 light-years from Earth, and still be reachable from known space in just a few days whilst everyone else takes days just to travel a few dozen light-years across explored space. This explanation was required when Z’ha’dum moved from being on the “Rim of Known Space” to the “Galactic Rim” between the third and fourth seasons. The Cybermen are one of Doctor Who's most popular and endearing foes, making their first appearance in the 1966 serial The Tenth Planet and making return appearances right up to the present day. Artwork from The 15th Cyber Legion, who, contrary to other cyber legions, don't seek to enslave or destroy other lifeforms, but instead raise lots of money for charity. Millions of years ago, Earth had a twin planet. 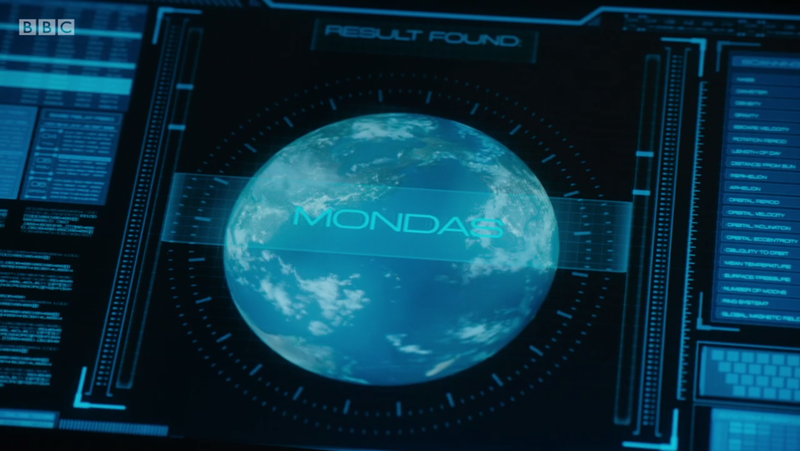 Named Mondas, it shared Earth's orbit and, for reasons not entirely understood, the two worlds were mirror images of one another in the layout of their landmasses. At an unknown point in time, Mondas was flung out of its orbit. According to some reports, this was the result of the arrival of the Moon in Earth's orbit, the perturbations causing Mondas to be ejected from the Solar system (and the native sentient species on Earth, the Silurians, to take shelter in vast underground caverns). According to most histories, Mondas wandered to the outskirts of the Solar system over the course of millions of years. As it receded from the Sun, Mondas became less and less habitable. The planet's dominant intelligent species were humans evolved in parallel to those on Earth, although some suggest they actually evolved at a much faster rate (due to the worsening environmental conditions). Like humans on Earth, the humans of Mondas developed an industrial civilisation. 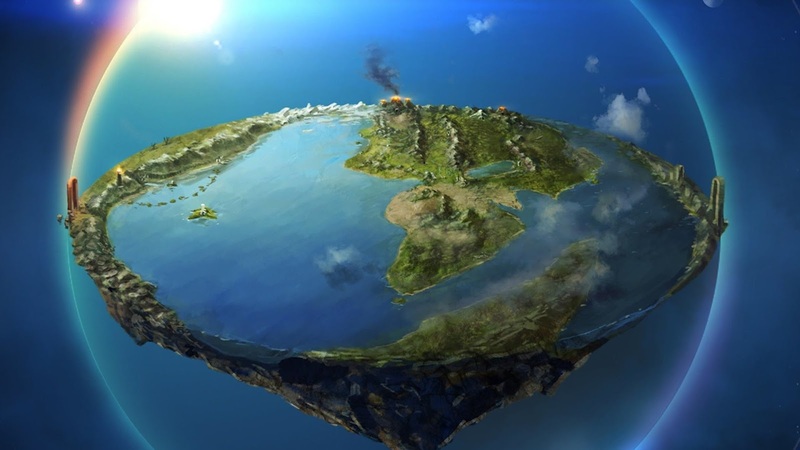 However, unlike Earth which became divided between squabbling factions, Mondas was united, its people working together to survive as the habitability of their world decreased and the planet grew colder. The Mondasians turned to both cybernetics and space travel to try to save their race. At one point in time they were able to make contact with a formidably advanced humanoid species and were able to procure the use of a 400-mile-long, 100-mile-wide colony ship to help evacuate tens of thousands of people from the planet. The details of this chain of events remain unclear, but it is known that the would-be colonists perfected cybernetic transformation and created the first human/machine hybrids, or Cybermen. Simultaneously, the people on Mondas itself were able to create their first AI systems. The combination of the two phenomena resulted in the creation of a new species, enhanced humanoids utilising biological brains welded to formidable computing power and cybernetically-enhanced bodies. This came at the cost, however, of emotions and imagination. Calling upon their scientific knowledge, the Cybermen halted the movement of Mondas away from the Sun and began the slow, multi-millennial task of returning it to its original orbit. They also utilised FTL technology (possibly ransacked from the alien colony ship) to settle planets in other systems. The most successful of these colonies was located on the planet Telos but others were scattered across the galaxy. 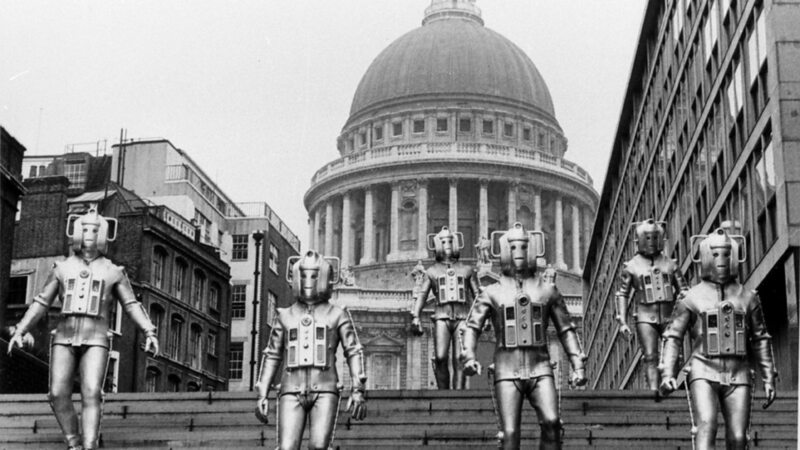 During Mondas's return to the inner Solar system, the Cybermen detected signals from Earth and learned that the humans of that planet had forged a significant industrial civilisation. They sent a scouting force to invade Earth circa 1975, but this was defeated by machinations of the Gallifreyan Time Lord known as the Doctor. 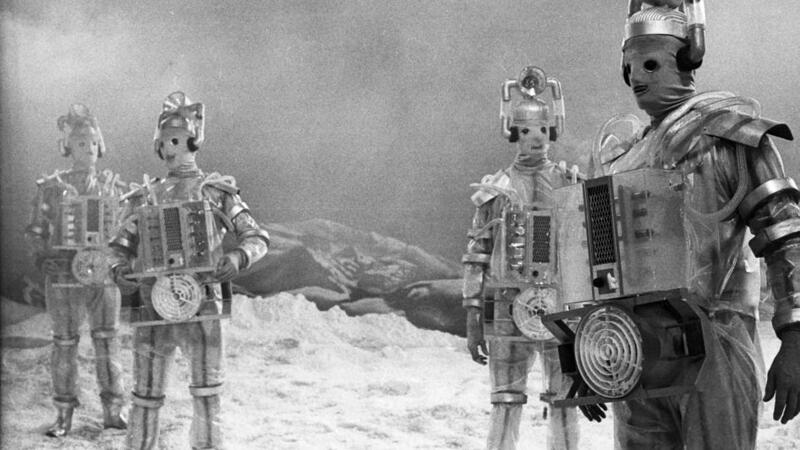 The original Cybermen in The Tenth Planet. Eleven years later Mondas drew close to Earth and the Cybermen mounted an assault on the planet, storming the planet's Space Command in Geneva and a major base in Antarctica to forestall any space-borne attack on their homeworld. 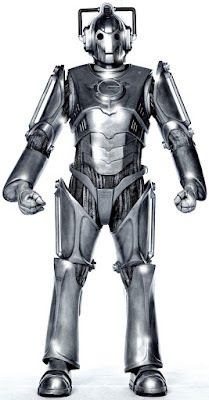 The Cybermen's plan was to absorb energy from Earth to replenish their dying homeworld, convert the population of Earth into Cybermen to replenish their own ranks and finally destroy the planet with humanity's own weapons of mass destruction to prevent any resistance being mounted against them by any surviving humans. However, the intervention of the Doctor (shortly before his very first regeneration) saw Mondas absorb too much energy and disintegrate, killing all of the Cybermen present (reliant on energy from Mondas). With Mondas destroyed, it fell to the colonies outside the Solar system to mount renewed attacks: these invasions were designed to either conquer Earth as a new homeworld, forcibly convert the population into Cybermen or both. An attack was mounted on Earth in 2070 via the planet's Moonbase and another attack via a station located deep in interplanetary space. Both attacks were thwarted by the Doctor in his second incarnation, ending the threat of the Cybermen for several centuries. An iconic shot from The Invasion. The Doctor was also present when an Earth exploration team inadvertently awoke the main Cyberman colony on Telos in the 25th Century. This sparked a renewed period of hostility by the Cybermen towards Earth, culminating in the Cyber Wars. Humanity discovered that the Cybermen had a weakness to gold, which could corrode their internal systems, and swiftly made use of this to defeat the Cybermen en masse. An attempt to use a space freighter to destroy Earth in the early 26th Century was thwarted by the Doctor in his fifth incarnation, albeit only at the cost of the life of his companion Adric. Later, the Sixth Doctor aided the Cryons, the natives of Telos, in destroying the Cyber colony on the planet and reclaiming their homeworld. These defeats reduced the Cybermen to tiny remnants in deep space, on remote colones or on ships in flight. Several centuries after the end of the Cyber War, the Doctor, in his fourth incarnation, helped thwart a renewed Cyber offensive using Space Station Nerva and the Voga asteroid, the source of much of the gold used in anti-Cyberman weaponry. One group of Cybermen apparently discovered a time-travel capable vessel and travelled back to mount an attack on Earth in 1988, but was halted by the Doctor in his seventh incarnation. The Cyberman threat appeared to have been contained, with the Cybermen playing no role in the Time War. However, the course of history was altered when it was discovered that, in an alternate timeline, a more aggressive race of Cybermen had been created. These alternate dimension Cybermen invaded our universe and were halted by the actions of the Tenth Doctor, the Torchwood organisation and a squad of Daleks known as the Cult of Skaro. Another faction of these Cybermen breached the dimensional boundary to invade London in 1851 with a huge war machine, but were again stopped by the Tenth Doctor. The Tenth, Eleventh and Twelfth Doctors confronted several renewed threats to the galaxy from the Cybermen, who appeared as a resurgent threat in the far future. The Twelfth Doctor also stopped an attack on Earth in the early 21st Century by Cybermen working in concert with "Missy", the regenerated incarnation of his old enemy, the Master. The Doctor, along with his companions Bill and Nardol and an apparently rehabilitated Missy, then encountered the Mondasian Cybermen on a massive colony ship they were apparently using to flee their dying homeworld. The Doctor discovered, to his horror, that a previous incarnation of the Master had apparently helped create the Cybermen and that his companion Bill, who had been "converted" as per the Master's instruction, may have become the very first Cyberman. In the mid-1960s Dr. Christopher "Kit" Pedler, a medical scientist and parapsychologist, with an interest in science fiction, was recruited by the BBC to lend expertise to several of their television programmes, most notably Tomorrow's World. The Doctor Who production team recruited him because they wanted to do more stories about real science and harder SF concepts, as these seemed to be resonating more with audiences. Pedler's first contribution became the story idea for the story The War Machines. Gerry Davis, the show's script editor, was impressed by Pedler's talent to find a good story and they decided to collaborate on a script. Pedler had an interest in the growing field of cybernetics and transplant surgery, and told Davis about a conversation he'd had with his wife about how many of a human could be replaced by machinery before they were no longer human. This led to the creation of the Cybermen. The Cybermen were cyborgs like the Daleks, but the Daleks had been forced into their state by the need to survive a nuclear war and were no longer recognisably human. They had also discarded positive emotions, but retained negative traits such as hatred, prejudice and rage. The Cybermen were much more recognisably humanoid and were completely emotionless and amoral. Whilst the Daleks wanted to exterminate all other lifeforms, the Cybermen were keener on converting other races to become like them, a more horrific concept. The Cybermen were a huge hit, with their first story, The Tenth Planet, being one of the most popular stories from the black and white era of Doctor Who. The story also saw the Doctor regenerated for the first time, with William Hartnell replaced by Patrick Troughton. The producers had found a replacement for the Daleks - who were being retired at the end of the fourth season following licencing issues with creator Terry Nation, who was trying to launch a spin-off series in the States - in the nick of time. The Cybermen returned for four further adventures in rapid succession: The Moonbase later in Season 4, Tomb of the Cybermen and The Wheel in Space in Season 5 and The Invasion in Season 6 (which also introduced UNIT). The design of the Cybermen changed several times. In their first appearance the Cybermen were still recognisably human, with their faces covered in a type of close-fitting cloth, human hands and moving mouths. Although some considered this eerie and frightening, some fans felt it wasn't particularly scary. For their second appearance in The Moonbase their suits became much more robotic. The Invasion added large panels to either side of the head. The one constant in their appearances has been "handlebars" on their heads. 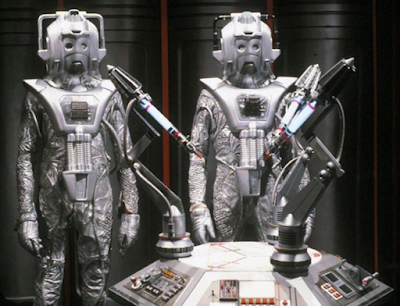 The Cybermen as they appeared in Earthshock. The Cybermen did not appear during the Jon Pertwee era, apparently as the production team couldn't come up with a good story for them. They did return in Revenge of the Cybermen in Season 12, Tom Baker's first season on the show, but after this did not appear again until Season 19 in 1982. Producer John Nathan-Turner wanted a big action "blockbuster" story for Peter Davison's first season as the Fifth Doctor and script editor Eric Saward was really keen on bringing back the Cybermen. A significant amount of money was spent on this story, which pitched the Doctor and a team of space marines against the Cybermen for control of a huge space freighter. Interestingly, considering it was made four years before the movie Aliens (to which it has some superficial similarities), the story had a link to that franchise in that some of the Nostromo sets and props were re-used in this story. This story also killed off the companion character of Adric, played by Matthew Waterhouse, who was not popular with fans (at least not until he was killed off!). Adric remains the only long-term Doctor Who companion to have ever been killed off, with the previous fatalities (Katarina and Sara Kingdom, both in the 1965 serial The Dalek Masterplan) having only been companions for a few weeks before dying. The return of the Cybermen was extremely popular with fans, so they were brought back in Season 20's The Five Doctors (where three squads of Cybermen menaced both the Doctor and the Master on Gallifrey) and Season 22's Attack of the Cybermen. Less successful was their return for the 25th anniversary special, Silver Nemesis. The story was bitty and unsatisfying, with some poor writing and acting. It compared unfavourably to the season opener, Remembrance of the Daleks, which was later taken by fans to be the real anniversary story. 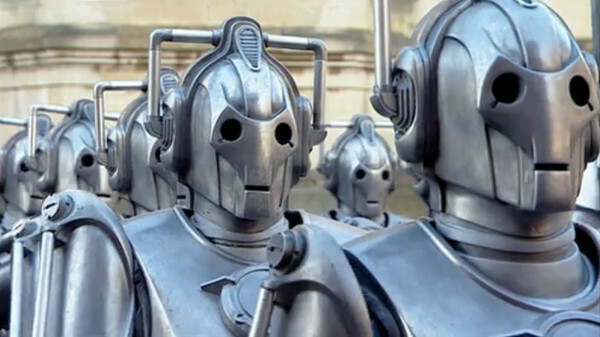 After the show's long rest, the Cybermen was reintroduced by Russell T. Davies in 2006. Fearing their backstory was too confusing, Davies deliberately had these new Cybermen hail from a different origin on an Earth in a parallel universe. After Davies's departure, new producer Steven Moffat quietly shifted back to using the Cybermen of the original timeline (albeit using a very similar design). After Peter Capaldi was cast as the Twelfth Doctor, he asked Moffat if there was a way of bringing back the original 1966 Cybermen from Mondas, as he considered these to be the scariest and most disturbing version of the creatures. Moffat complied in two of his three final scripts for the series, World Enough and Time and The Doctor Falls. My Patreon page is now hosting a new essay series, A History of Middle-earth. This is pretty much what it says on the tin, a history of J.R.R. Tolkien's legendarium. The first phase is the fictional history of the continent of Middle-earth and the world it sits on, Arda, and will be followed up by an account of the conception, creation and writing of the Middle-earth series. My plan for this series is one new article every weekend. Parts 1 and 2 are now up, charting the history of Arda from its creation to the Battle of Sudden Flame and the breaching of the Siege of Angband. Having spent almost 25 years reading, re-reading and studying Tolkien from a variety of angles, this seemed a fitting project to undertake this year, which marks the 40th anniversary of the publication of The Silmarillion, the 80th anniversary of the publication of The Hobbit and 100 years - more or less - since Tolkien began writing his first Middle-earth story (about the fall of Gondolin) in a hospital bed in Birmingham, whilst recuperating from an illness sustained in the Battle of the Somme. The Cities of Fantasy series will also continue, but this now going to be a much more irregular project than I first envisaged. Both series will be Patreon exclusives (for $1 Patrons and upwards) for one month before being republished here on the Wertzone. The Babylon 5 rewatch project is the next big Wertzone project and that should start in the next week or so, first with a couple more articles on the B5 universe before we begin with the pilot episode, The Gathering. Interestingly, this will be the very first time I've ever seen the revamped, "special edition" of the pilot episode from 1998. Looking forwards to seeing what they changed in it. As usual, if you want to give some support to the site and all my blogging efforts, you can also hit up the donation button in the top-right corner of the blog for a one-off contribution. At the moment contributions are going towards my trip to WorldCon in Helsinki in August, which hopefully should give up some new stories and interesting developments (and yes, I'll ask George when he hopes to finish The Winds of Winter and no, I don't think he'll give an answer). Thanks to all my readers and followers. You guys continue to rock! The classic, era-defining Homeworld and Homeworld 2 got an impressive re-release in 2015 in the Homeworld Remastered collection, followed last year by a splendid (if low-key) prequel game, Deserts of Kharak. Missing from these celebrated events was Homeworld: Cataclysm, the stand-alone expansion for the original game. Developed by Barking Dog Studios and released in 2000, Cataclysm has widely been praised as the best game in the series, with a tense, escalating storyline seeing the galaxy consumed by a cybernetic terror known as the Beast and the crew of a single mining ship desperately trying to find a way of defeating it. The game expanded on the original title's mechanics, introducing much-needed timeskip features and a lot of new ship designs. 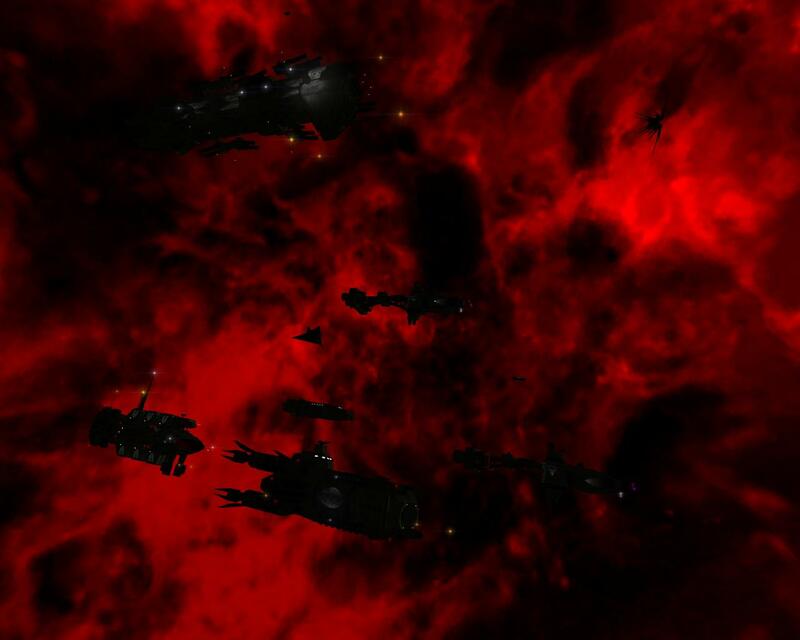 Homeworld 2 (2003) ignored many of the developments in the game, with a feeling among fans that the original designers at Relic (now at Blackbird Interactive) didn't really consider Cataclysm part of the official Homeworld canon. Remastering Cataclysm proved impossible as the original source files had been lost, with the alternative - rebuilding the game from the ground up in the Homeworld 2 engine - considered too complex and time-consuming for what would probably be a limited return. Instead, Blackbird and Homeworld IP owners Gearbox have focused on getting the original game compatible with modern PCs and overcoming a major legal hurdle, namely that Blizzard bought the trademark on the Cataclysm name for a World of WarCraft expansion. The technical stuff done, the game is now available on GoG under the name Homeworld: Emergence to overcome the legal hurdles. As one of the very best space strategy games ever made, I strongly recommend it. Veteran director Ron Howard has rolled into town to take over the next Star Wars movie. The Solo Han Solo movie (apparently shooting under the working title Solo) was mostly done with shooting when "creative differences" led to directors Phil Lord and Christopher Miller departing/being fired/being exiled to the spice mines of Kessel. 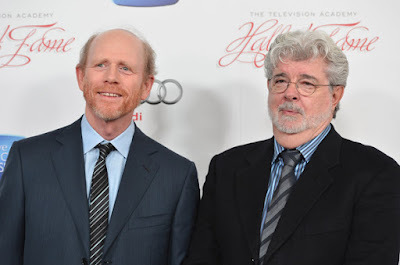 Ron Howard and George Lucas, who have collaborated several times. Howard will be completing principal photography on the picture as well as helming reshoots later in the summer. Howard and producers Kathleen Kennedy and Lawrence Kasdan will be reviewing the footage shot by Lord and Miller to see what material can still be used and what will have to be reshot. The film is still on track for release on 25 May 2018, just five months after Star Wars Episode VIII: The Last Jedi hits cinemas in December, although delays are likely if the production team decide more significant reshoots are needed. Although Howard hasn't been involved in a Star Wars project before, he did star in George Lucas's 1973 movie American Graffiti (alongside a young Harrison Ford) which led to his casting in the sitcom Happy Days and kickstarted his Hollywood career, including collaborating on the movie Willow with Lucas, so there is some synchronicity involved in this news. Rumours that Howard has said, at any point, "Hold my beer," and "I got this," have yet to be confirmed. In an unexpected movie, the Star Wars Han Solo spin-off movie has lost both of its directors more than halfway through shooting. Phil Lord and Christopher Miller, who had formerly directed Cloudy with a Chance of Meatballs, The LEGO Movie and 21 Jump Street and its sequel, had been employed by Lucasfilm to helm the Han Solo film (which apparently has the working title Solo) and filming began back in February. All seemed well, with cast and crew posting images from what seemed to be a relaxed and fun shoot. It now turns out that this was not the case. Having tapped Lord and Miller for their loose, improvisational and comedic style, Lucasfilm seemed to develop issues when they approached the Star Wars project with a loose, improvisational and comedic style. In particular, writer-producer Lawrence Kasdan was unhappy with them encouraging the actors to go off-script and producer/Lucasfilm Supreme Leader Kathleen Kennedy was concerned that the film's tone wasn't in keeping with all things Star Wars. Things came to a head when the studio began planning reshoots, with Kennedy making it clear she wanted the directors to get back on-script and curb their more chaotic sensibilities. The directors refused, apparently leading to them leaving. Some are reporting that they were effectively fired by Lucasfilm, but their own statement puts a more positive spin on things, saying the decision was taken mutually. Directors leaving a project is hardly unusual, but about three-quarters of the way through actual shooting is unheard of in modern cinema. Lucasfilm are apparently now keen on getting a replacement on board as soon as possible, with steady hand, experienced industry veteran and past George Lucas collaborator Ron Howard looking the most likely to pick up the slack. Joe Johnston is also in the frame if Howard is unavailable, with the final choice being Kasdan himself (although this would have to be a last resort, due to Director's Guild rules on replacing directors with other personnel already on a film). 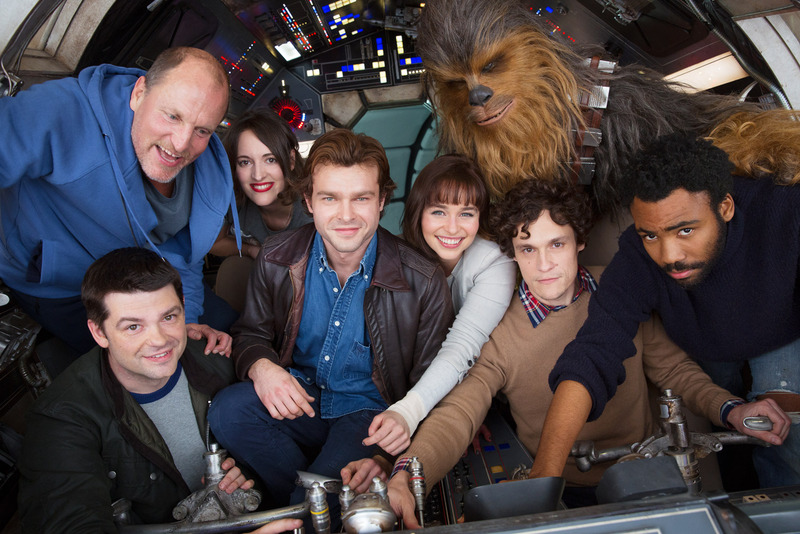 The Han Solo movie is still aiming for a May 2018 release. Expect to see this fall back to December if the producers decide more extensive reshoots - or even a full remounting of the picture from scratch - are required. Damon Lindelof has been tapped by HBO to adapt the graphic novel Watchmen, by professional writer-druid Alan Moore, to television, despite this not being anything anyone really needs in their life. Zack Snyder helmed a perfunctory but perfectly serviceable movie version of Watchmen back in 2009. Although it was a little compressed fitting the big graphic novel into just two and a half hours, it got the job done and was reasonably faithful - maybe too faithful - to the novel. However, HBO have now picked up the TV rights so they can make a new version which will probably be pretty similar to the 2009 version, since it will have an identical plot and the same cast of characters, just with different actors playing them. Scriptwriter Damon Lindelof will be helming the new project, as he continues to play Russian Roulette with his career. He charmed millions of fans with his TV series Lost, only to annoy them with a somewhat confused ending, and then really annoyed lots of people with his scripts for Star Trek (2009) and Prometheus (2012), which were both troubled. More recently, however, he has won plaudits for his work on HBO's The Leftovers, which recently concluded a three-season run with a lot of critical acclaim and plaudits. Meanwhile, graphic novel fans have confirmed that there are more graphic novels in existence than just Watchmen, and if maybe someone wants to take a shot at one of those instead, that would be just fine. HBO have released their latest and biggest trailer yet for the seventh and penultimate season of Game of Thrones. The seventh season of Game of Thrones debuts on 16 July on HBO in the US, with it airing on Sky Atlantic a day later in the UK. This first article focuses on the major races and alliances. The second will focus on the B5 station and some of the underlying concepts of the show. By the beginning of the Earth year 2257, the galaxy has become divided between five major powers and a plethora of smaller worlds. A series of brutal interstellar wars has taken its toll and there is a desire in the galaxy for peace, a time of trade and diplomacy when differences can be resolved without the need for violence. To capitalise on this, the Earth Alliance has constructed an immense space station, Babylon 5, in neutral space. Representatives from dozens of worlds have gathered to meet in security to further their goals of peaceful cooperation. It is an ambitious, expensive and controversial undertaking, many on Earth seeing it as a waste of time and demanding that the money should be better spent on the homeworld. But its potential is incredible, opening the markets of dozens of worlds for goods and allowing for the exchange of scientific and medical knowledge to help cure plagues and make new discoveries. For the five major powers, each has its own goals and interests in the Babylon Project. The Earth Alliance is one of the youngest races on the galactic scene. It only joined the interstellar community in 2156, when a scout ship from the Centauri Republic inadvertently stumbled across the Solar system during a routine survey. The arrival of the Centauri was fortuitous, for it united a world creaking at the seams and which had been on the verge of a possibly terminal nuclear conflict. Within a few years, the Alliance had purchased jump drive technology from the Centauri and begun a remarkable diaspora, settling a dozen major colonies and many more military and scientific outposts across dozens of systems close to Earth. The Earth Alliance established itself as a major power in 2232 when it intervened in the Dilgar War. The Dilgar Imperium had launched a lightning military campaign, scouring out a path of conquest through several minor powers, including the Abbai, Drazi, Ipsha and Vree. Earth initially refused to get involved, but the Dilgar crossed a line when they attacked the Markab Confederacy, one of Earth’s earliest trading allies. The Alliance military – Earthforce – responded with a ferocious counter-offensive that caught the Dilgar completely by surprise and threw them back to their homeworld in less than a year of heavy fighting. Just a couple of years later, the Dilgar homeworld was incinerated when its star went supernova (this being the primary cause for the Dilgar conquests, with the proud empire refusing to ask for help). 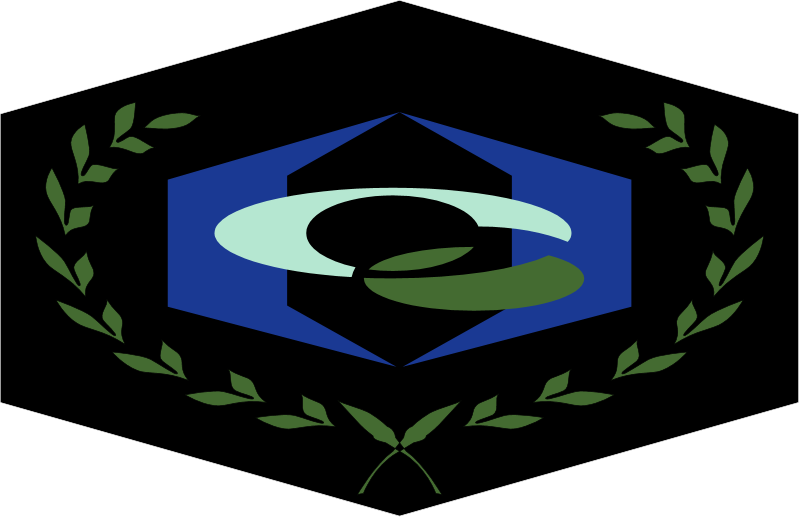 The Earth Alliance was established as a major player on the galactic scene and Earth became confident and proud…too confident. In 2245 the Earth Alliance made contact with the ancient, proud, isolationist and incredibly powerful Minbari Federation. The first contact went horrendously wrong, with the Earthforce vessels opening fire in the mistaken belief that the Minbari were going to attack. This incident triggered a war that lasted three years and finally saw the Minbari fleet mount an assault on Earth itself. During this desperate final engagement – the Battle of the Line – the Minbari abruptly ceased fire and departed. The Alliance began rebuilding, uncertain why it had been spared at the moment of final defeat. The prevailing theory is that the Minbari religious caste had objected to genocide, the mass slaughter of billions of civilians, and had compelled the end of the war, but the truth of the matter has never been revealed. The Earth Alliance Omega-class destroyer. Introduced after the war with the Minbari, this is Earth's most formidable warship and the first to simulate gravity through the use of rotating sections. Since the end of the Earth-Minbari War, the Alliance has pursued a less bellicose and arrogant role in interstellar affairs, proposing the Babylon Project as a forum for interstellar diplomacy so such a war might never happen again. Surprisingly, they have been backed in this project by the Minbari themselves, as well as Earth’s more traditional allies among the League of Non-aligned Worlds and the Centauri Republic. The Earth Alliance is ruled from the custom-built administrative city of Earthdome, located near Geneva, Switzerland, on Earth. The major colonies of the Earth Alliance include Mars, Io, Proxima III, Orion VII, Vega and Beta Durani. 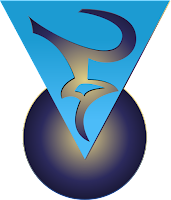 An increasingly significant player on Earth is Psi Corps, the organisation which regulates telepaths. The Centauri are a (mostly) humanoid species hailing from the planet Centauri Prime, located about 90 light-years from Earth. The Centauri began their expansion into space at least nine centuries before Earth’s first stumbling steps towards the stars and within five centuries had established nothing less than an interstellar empire, subjugating several vassal-races and conquering planets to strip them of their resources. The Centauri Republic peaked about a century before they made contact with Earth (fortunately for humanity, who otherwise might have been enslaved rather than befriended); one of the last gasps of Centauri imperialism was the invasion of the Narn homeworld in 2109. Although successful, the Narn proved fractious and unwilling subjects. A century of gradually escalating bloodshed and rebellion saw the Centauri finally withdraw from Narn in the early 23rd Century. Other rebellions and economic contraction saw the Centauri abandon many of their outposts and conquests, falling back to just a dozen major colonies. The Centauri notably failed to intervene in the Dilgar War and also refused to help their allies in the Earth Alliance during the war with the Minbari. Although both actions were prudent, they were also seen as cowardly and the Centauri reputation moved from that of a bold imperial power to a decadent, corrupt shadow of its former self, little more than a tourist attraction. Ambassador Londo Mollari of the House Mollari. 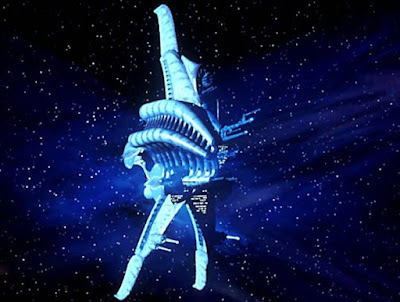 Although they have a reputation as has-beens, the Centauri remain one of the most technologically advanced civilisations in local space; only the Minbari and Vorlons are more powerful, and both are far more isolationist. The Centauri military is large and formidable, if only deployed in recent times for defence. Also, whilst the Republic has been reduced to just twelve major planets, each of these is old, long-settled and populous (compared to many of Earth’s much younger colonies, with only a few tens of thousands of settlers apiece). 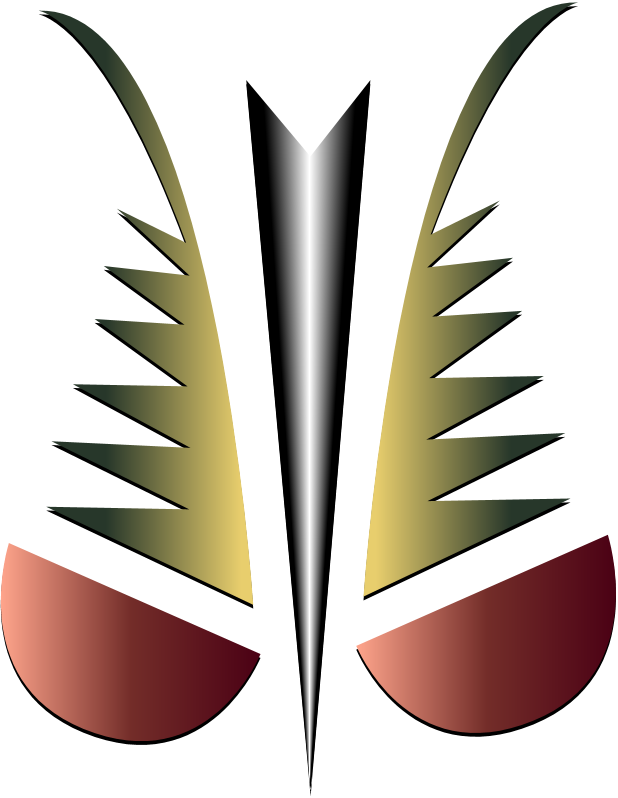 The Centauri Republic is ruled by a hereditary emperor – currently Turhan – who is advised by a Council of Ministers. The Centauri noble houses meet in a vast forum known as the Centaurum to discuss matters of import. Like many species, the Centauri possess telepaths, who are organised into a guild. The Centauri do not seem to have as many telepaths as Earth and Minbar, and seem to employ them frequently for interrogation, intelligence-gathering and corporate espionage. The Centauri are noted for their flamboyant hair, which men wear in an elaborate crest. Usually, the longer and more elaborate the hair, the more powerful and influential the house. 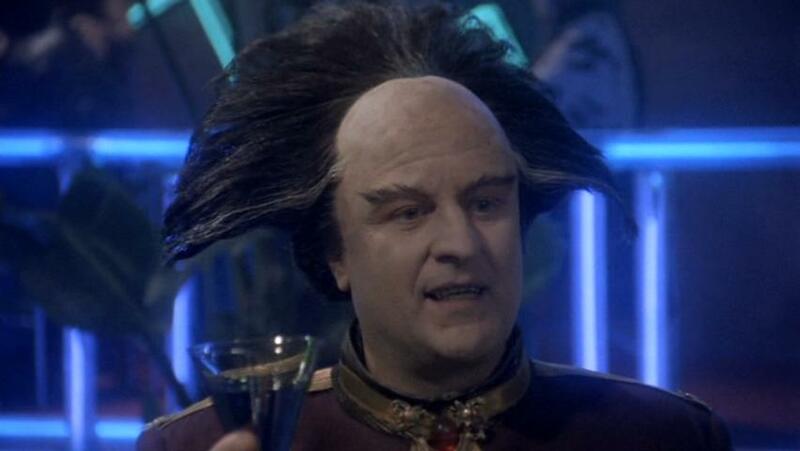 Elderly Centauri men sometimes wear wigs when their hair stops growing. Centauri women shave their heads (sometimes growing a single ponytail) as a sign of "rising above" such petty gestures. 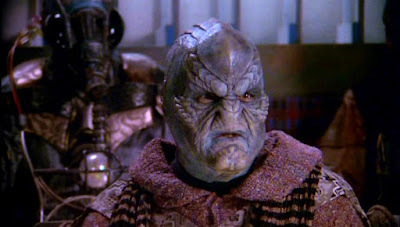 The Narn are a race of reptilian humanoids (with marsupial reproductive characteristics) originating on the planet Narn, located about 20 light-years from Earth. They are the youngest major power of the local galactic scene. The Narn established a peaceful, tolerant and religious society a thousand years ago, when their formerly fractious tribes were united by the religious leader G’Quan. The Narn had only just taken their first faltering steps into space and established their first interstellar colony on Ragesh III when the Centauri Republic stumbled across them. The Republic noted that the Narn homeworld was rich in resources, so brutally annexed the planet. The Narn were enslaved, forced to strip-mine their own planet to fuel the Centauri economy. At first the Narn tried to practice peaceful, passive resistance, but as the occupation continued and the death toll climbed into the millions they turned to violence. An escalating series of increasingly brutal rebellions began in the mid-22nd Century and continued without surcease for decades. The Centauri reprisals were brutal, bloody and indiscriminate. Large stretches of the planet were laid waste, the formerly vast forests razed and the planet acquiring its noted red hue. 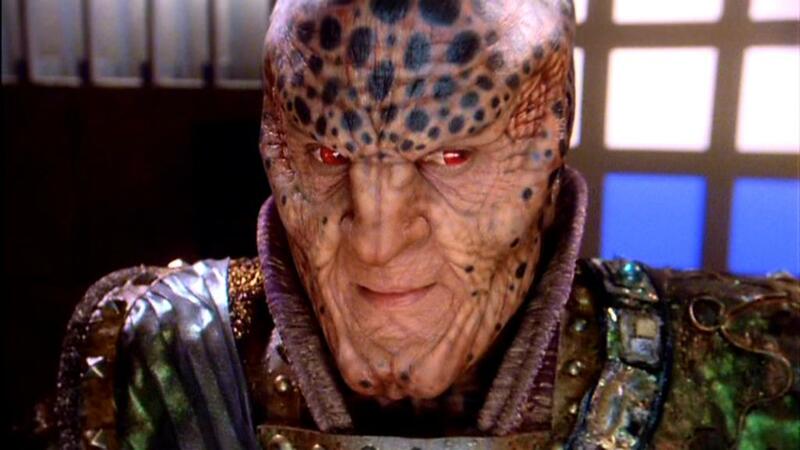 Ambassador G'Kar of the Narn Regime. Eventually the Centauri realised that the cost of invading and occupying Narn had grown far greater than the return from its resources. Driven by the peace-favouring policies of the young and idealistic Emperor Turhan when he took the throne, the Centauri formerly withdrew from Narn in the early 23rd Century. The Narn were nothing if not industrious. They seized everything the Centauri had left behind – weapons, spacecraft, equipment – and turned it to their own advantage. With an industry that was truly impressive they quickly built their own war machine and established their own interstellar alliances. The Narn quickly gained a reputation for being bellicose, aggressive and cynical (they sold weapons to Earth during the Minbari War, but only ones they had stolen from the Centauri so if the Minbari discovered them, they’d assume that the Centauri were responsible), but also capable of surprising subtlety when required. The Narn Regime now spans half a dozen or so major colonies. They are governed by a council known as the Kha’Ri and have built a formidable military at least the equal of Earth’s in capability (if not in size). The Narn are organised as a strict militaristic hierarchy, a necessity given the harsh circumstances on their homeworld, but they also have a strong religious tradition. G’Quan remains their most venerated religious figure. Unusually, the Narn possess no telepaths, something they see as a tremendous tactical disadvantage. Narn geneticists have been attempting to introduce the telepath gene to their species for decades, to no success. The Minbari are a humanoid species, noted for their distinctive bald heads and the large bones which extend out of their skulls (often sculpted into fearsome or aesthetically pleasing shapes). 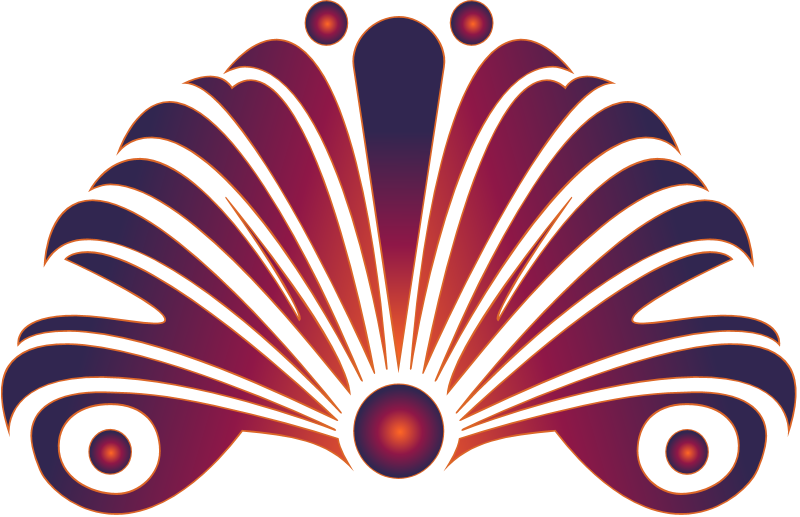 They are a study in contrasts: the Minbari are a deeply spiritual and peaceful people, given to meditation, art and music. They are also industrious builders and seekers of knowledge. And, when roused to anger, they are a formidable and utterly terrifying force, implacable and overwhelming in battle. The Minbari starfleet, centred on their elegant Sharlin-class warcruisers, is the most powerful in known space (aside maybe from the Vorlons), capable of overcoming any threat with almost contemptuous ease. Relatively little is known of the Minbari. They hail from the planet Minbar, a somewhat cold world rich in crystalline deposits located several dozen light-years from Earth. The Minbari cut their cities directly out of crystal formations. They are ancient, establishing civilisation on their planet when humans were still living in caves. The Minbari have had spaceflight technology for over a thousand years, but they have been cautious, slow to expand and explore surrounding space and have only established fourteen major colonies (all of them far older, larger and more populous than any of Earth's). They have, however, developed technology that outstrips that of even the Centauri by centuries. A senior Minbari of the warrior caste. 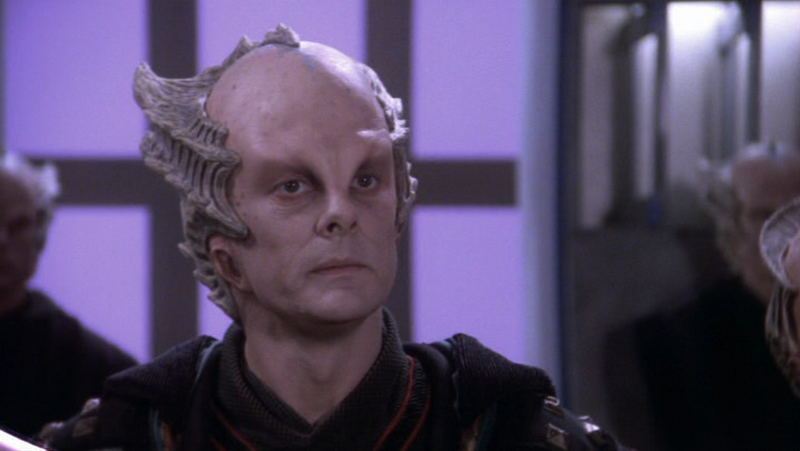 The Minbari have shared almost nothing of their past history with other races. It is known that they are divided into three castes: religious, worker and warrior, each with strict areas of responsibility and control. They do not worship gods, as such, but more the spirit of the universe itself, with their priests combining the role of historian, philosopher and spirit guide. Their most venerated holy figure is Valen, who overcame a period of disgruntlement between the three castes by founding the Grey Council, a ruling body with three representatives from each caste, approximately a thousand years ago. Remarkably, no Minbari is said to have ever killed another Minbari in anger or violence for centuries. The Minbari have a reputation for xenophobia, although this is not quite accurate. The Minbari, particularly of the religious caste, are curious about other races but also wary of them, seeing many other races as barbarous, violent and consumed by greed and fear. The Minbari limit contact with other worlds, but they have established strong trade and scientific trades with a select few. The Minbari, like most races, possess telepaths. Minbari telepaths serve the religious caste and are noted for their utterly formidable mental discipline and control, the result of millennia of training. The Minbari Sharlin-class warcruiser, the primary capital ship of the Minbari Federation. During the Earth-Minbari War, only two Minbari warcruisers were destroyed, compared to hundreds of Earth vessels. In August 2245, the Minbari made contact with Earth, when their flagship encountered a human scouting fleet on the fringes of Minbari space. Believing the Minbari vessel was about to attack, Captain Jankowski of the EAS Prometheus made the decision to open fire. A freak shot managed to penetrate the Minbari warcruiser’s hull and killed Dukhat, the leader of the Grey Council. The Minbari declared a holy war against the vastly inferior Earth Alliance. In three years of almost completely one-sided warfare the Minbari destroyed most of Earth’s space forces and destroyed several colonies before it finally located Earth and mounted a final assault. On the verge of a major victory, the Minbari abruptly turned and left, choosing to spare humanity rather than committing an act of genocide. Since the end of the Minbari War, the Minbari have been more active in galactic affairs. 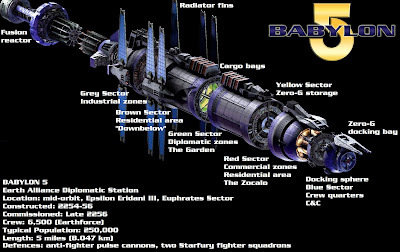 To the surprise of many, they have been supportive of the Babylon Project, co-sponsoring the construction of Babylon 5. The Minbari participation in the project has gone a long way to giving it legitimacy and encouraging participation by other races. Nothing is known about the Vorlons. Or almost nothing. The Vorlon Empire occupies a vast stretch of space several hundred light-years from Earth. No ship enters Vorlon space without their permission, and they never give permission. The Vorlons are utterly immune to diplomacy, threats or bribes. They communicate with other races when they want to for reasons of their choosing. They are not interested in economics, religion or diplomacy. They speak in metaphors and gnomic utterances, sometimes revelatory in meaning but mostly baffling. The Vorlons are suspected to employ organic technology, living starships, although both the rarity of encountering a Vorlon ship and the fact they are almost completely undetectable to the instruments of lesser races means this cannot be confirmed. Their spacecraft are extraordinarily manoeuvrable, with even the smallest apparently capable of solo jumps (an impossibility for other races, with even the Minbari struggling to fit jump drives on vessels much smaller than a destroyer). The largest Vorlon ships ever seen are approximately two miles in length, dwarfing the capital ships of most other races. 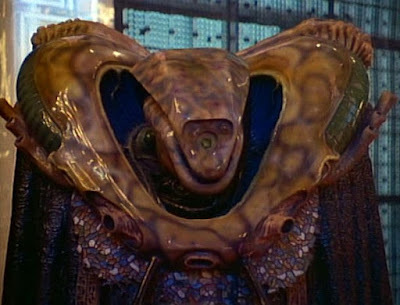 A Vorlon in its encounter suit. Even the true appearance of the Vorlons is unknown. They only meet other races when clad in encounter suits which completely hide their true appearance. They claim this is due to their atmospheric requirements being exotic and unusual compared to other races, but this regarded with scepticism. It is unknown if they possess telepaths or not, with their encounter suits apparently blocking all telepathic impulses. The first official contact between Earth and the Vorlon Empire came by way of a transmission from Vorlon space in late 2256, confirming that they would be sending a representative to the Babylon 5 space station, to the absolute shock of almost all the other races on the station. The reason for the Vorlons breaking their long isolation is, surprisingly, unknown. Member states: the Abbai Matriarchy, the Brakiri Syndicracy, the Drazi Freehold, the Gaim Intelligence, the Hyach Grand Council, the Markab Confederacy, the Vree Conglomerate, Balos, Cascor, Grome, Hurr, Ipsha, Llort, Onteen, Pak'ma'ra, Ventuki and Yolu (among others). As well as the five major powers, local space is home to many dozens of smaller, more independent worlds. 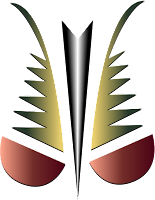 Many decades ago, the strongest of these smaller powers - the Drazi, Gaim, Brakiri, Markab, Vree and Hyach - were convinced by the Abbai to band together into an alliance which could stand united against any of the major powers, particularly the Centauri (several League worlds used to be Centauri vassals). This provided both mutual security and also provided a forum for airing grievances and resolving problems before they escalated into war. Abbai representatives to the Babylon 5 Advisory Council. Although fine in practice, the limitations of the idea were confirmed in 2230 when the Dilgar Imperium invaded League space, occupying Balos XII and sweeping through several other systems. In concert, the League could have driven the Dilgar back but petty national jealousies and rivalries saw them unable to act together (in particular, no race was willing to place its military under the command of an outsider). The Dilgar exploited these rivalries expertly. The war only ended in 2232 when the Earth Alliance attacked the Dilgar fleets, taking them by surprise and driving them out of League space in disarray. Gaim (left) and Drazi (right) representatives to the Babylon 5 Advisory Council. After the Dilgar War, the League regrouped and has adopted a new philosophy of establishing alliances with the major powers. 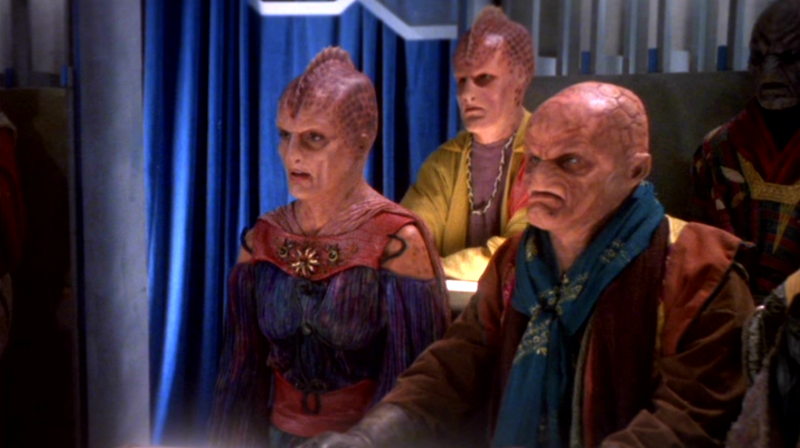 They have forged closer ties with the Earth Alliance, the Narn Regime (with whom they share a distrust of the Centauri) and even the Minbari, who have grown less isolationist since their own war with Earth. The League participates in the Babylon Project, with ten of the League races representing their concerns to the Babylon 5 Advisory Council. Controversially, however, the League only has one vote on the council despite representing many worlds.